If you have been following me on Instagram you may have noticed that I have mentioned the Makeful community and Makeful TV a number of times. I was one of the first maker's to join the Makeful community last year and I have been encouraging all of my creative friends to sign up and join Makeful. 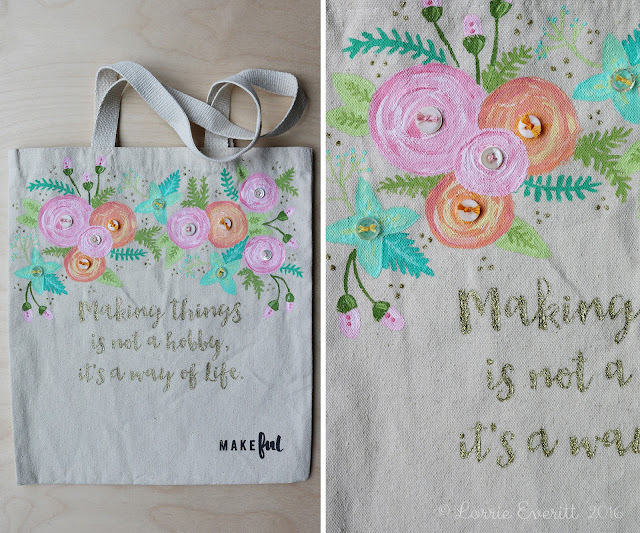 I recently received a simple cotton canvas tote bag in the mail from Makeful. 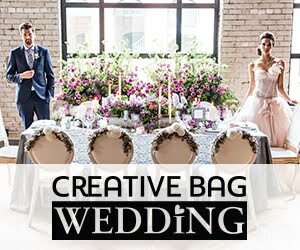 Their logo was screen printed in the bottom corner of the bag and it came with a note inviting me to have some fun with the bag and transform it into something beautiful ... and so I did. I spent a long time figuring out what I wanted to do with my bag. I knew I my direction would be something floral design with a creative quote but I wasn't sure what medium I wanted to use on my bag. Should I paint? Or maybe, sew? 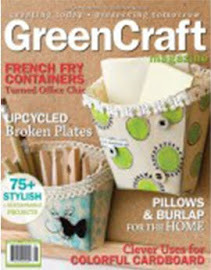 Or add an image using iron on transfers? I ended up doing a little bit of everything and I'm pretty happy with my final tote bag. I started off by painting a quote with Martha Stewart's gold glitter paint. I should tell you that I added Martha Stewart's tintable fabric medium to all of my paints in this project. Next I used a disappearing fabric pen to roughly draw out my flowers before I started painting my overall design. I wanted my floral design to be colourful and fun. I created a cup sleeve a little while ago for my reusable Starbucks cup which you can see in the first photo, and it was the inspiration for my colours on the bag. After painting the flowers I decided to sew some of my vintage buttons to the bag using different colours of embroidery floss for visual interest and for a surprise functional reason. 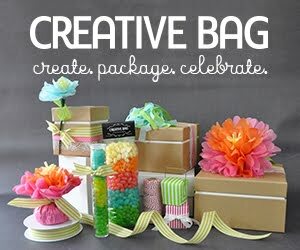 You see I could not stop at just decorating the outside of the bag. I had to add some details to the inside of the bag as well. 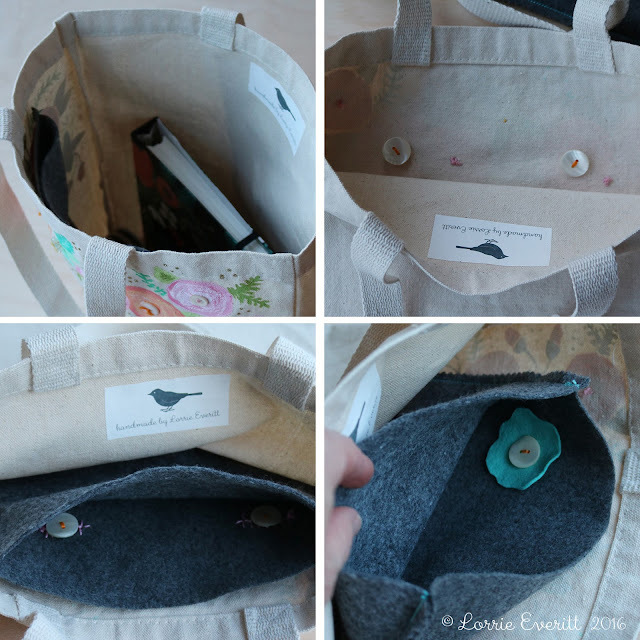 I added a felt pocket inside the bag to store smaller items like pencils and business cards. I also added an iron on transfer as a label so everyone would know that I created the bag. Above you can see my felt pocket and flowers before I added them to the inside of the bag. I sewed two large buttons inside the bag to hold the pocket. I sewed two button holes on the felt pocket. Once the pocket was attached to the inside buttons, I wanted to make sure that the pocket did not fall off the buttons easily, so I cut out two felt flower shapes with tight button holes and placed them as shown (above bottom right). 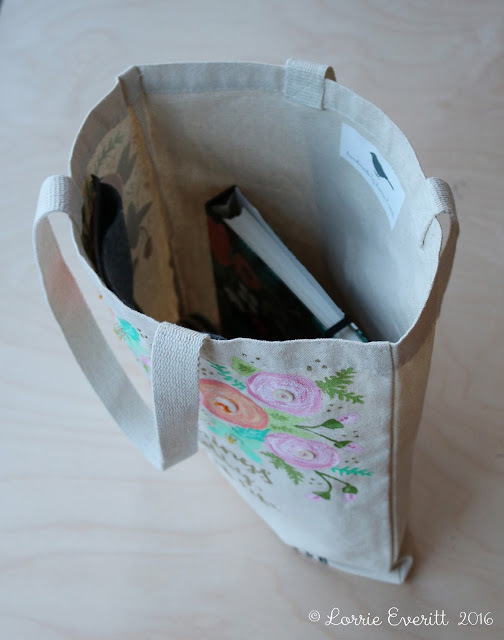 And now I'm off to enter my tote bag to the Makeful weekly challenge. 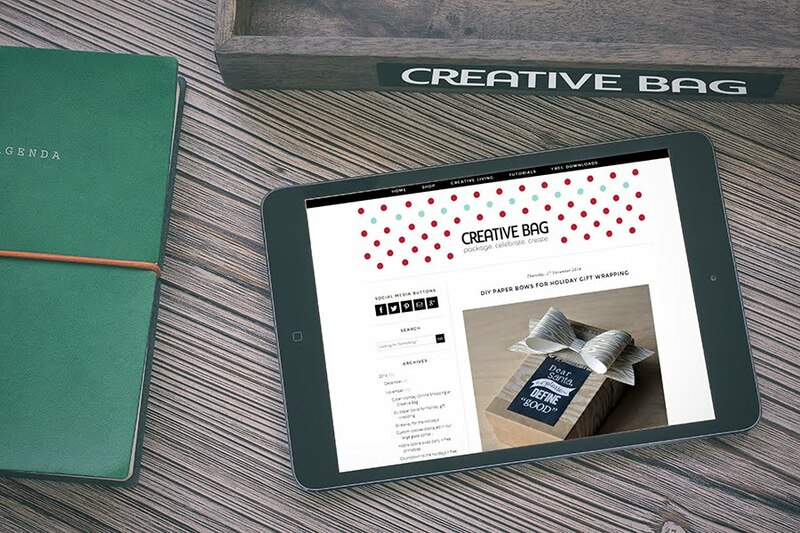 If you sign up to be part of the Makeful community you can enter the weekly challenges as well or just check it out for inspiration! Either way, get ready to be inspired. 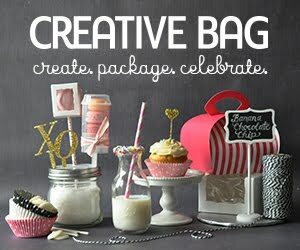 You can check out more totebags from this weekly challenge at #toteallymakeful #bemakeful. Here's a fun and creative party idea for a baby shower - painted onesies! I recently set up a baby shower party display at Creative Bag and I incorporated my painted onesies into the party display by hanging them up like bunting. The concept is that you invite each guest to paint a onesie at the shower as party activity. 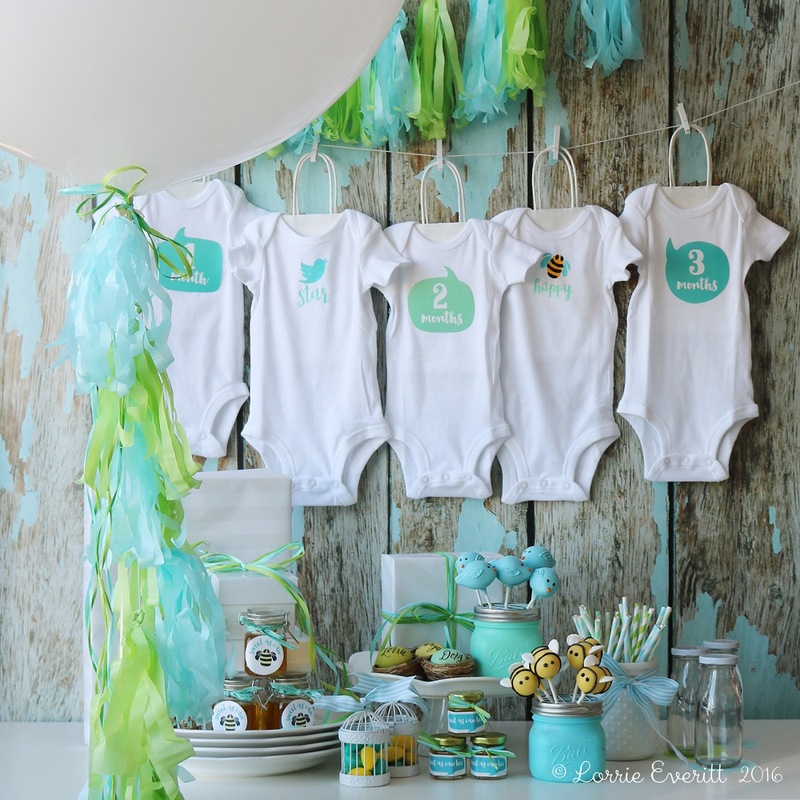 Set up a table so guests can paint their onesie and then set up a second area so that you can hang the onesies to dry before the party ends. 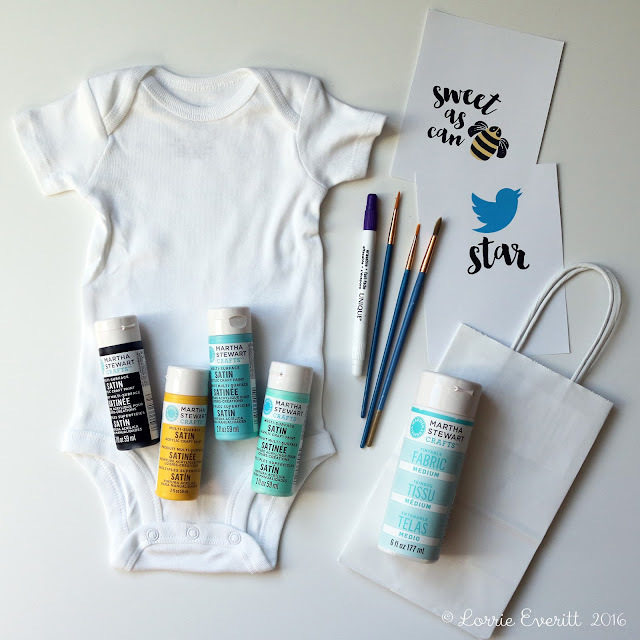 Gather your supplies: plain white onesies, small paper bags with handles (one for each onesie), Martha Stewart tintable fabric medium, craft paint in assorted colours, assorted paint brushes, disappearing fabric ink pen and something to mix your paints on. Optional: my free printable to trace. 1. Insert the small paper bag into the top of the onesie as shown above. 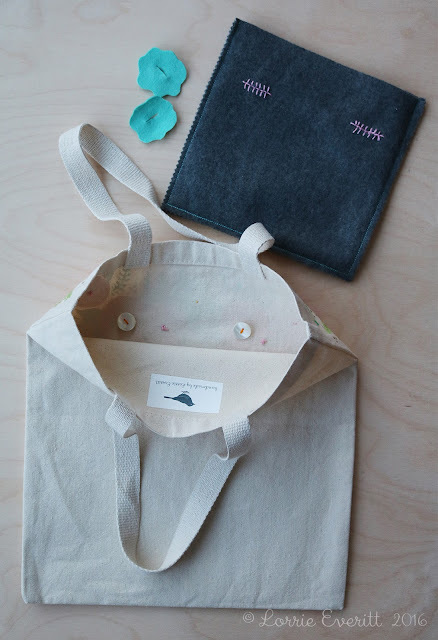 The bag will protect your fabric so that the paint does not bleed through to the back and you can use it like a hanger later to hang the onesie to dry. 2. 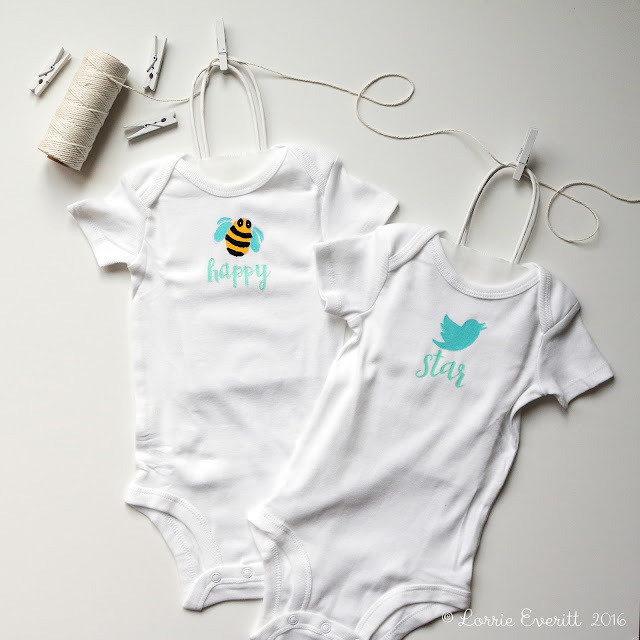 Use the disappearing ink pen to draw out your design on the onesie. 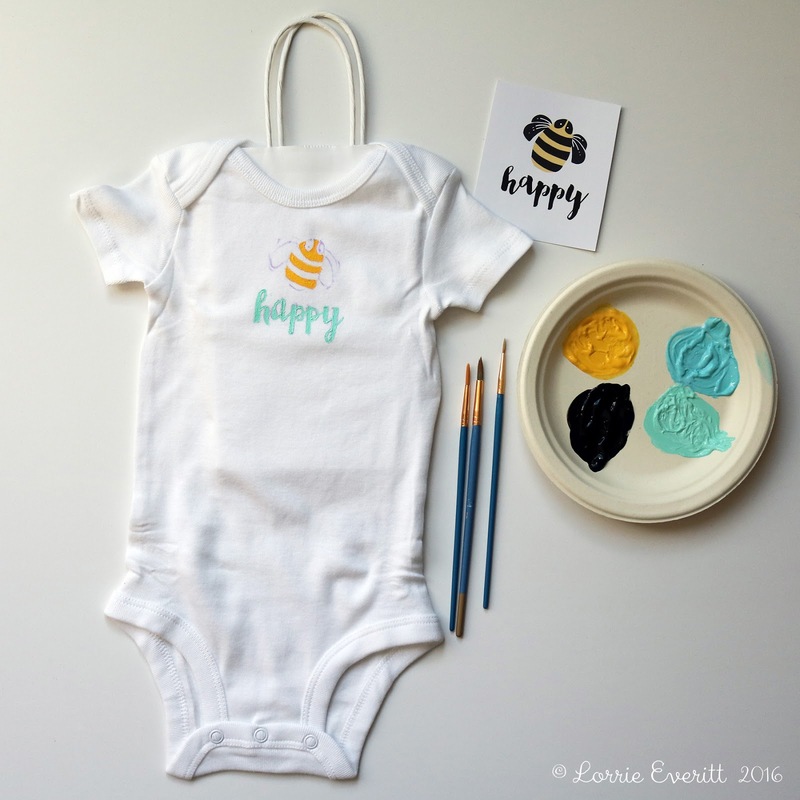 For guests that do not feel they are very crafty or can draw, allow them to trace one of the designs from my free printables using the disappearing ink pen. 3. 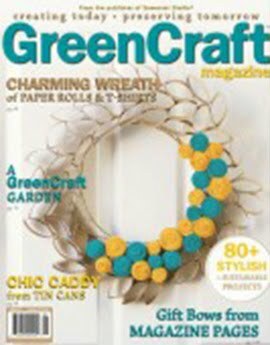 You can make any paint into a fabric paint by adding Martha Stewart's tintable fabric medium. Follow the fabric medium instructions on the bottle for more details. 4. Once everyone has completed painting their onesie, hang them up on display so they can dry and everyone can see them. I used baker's twine and small clothespins to hang our onesies. The disappearing ink will take a few hours to disappear so don't worry if you see the purple lines for a while. 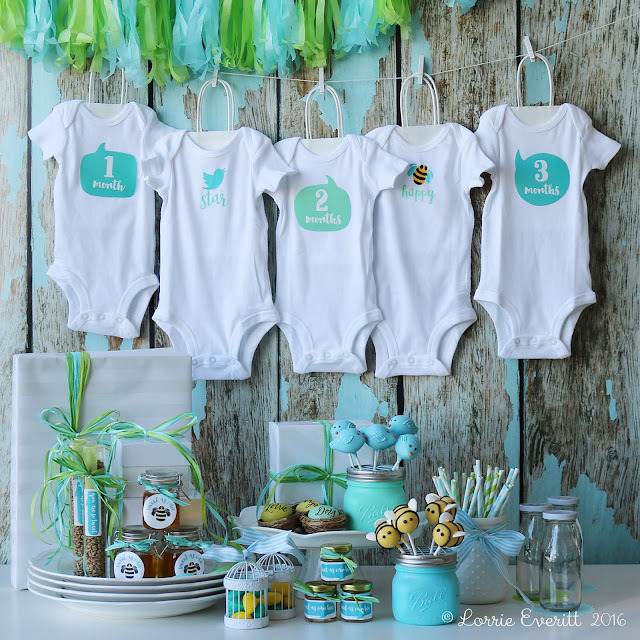 Check out my birds and bees baby shower party post here for more inspiration. What could be more personal and thoughtful than giving your sweetheart a Valentine card that you created yourself? 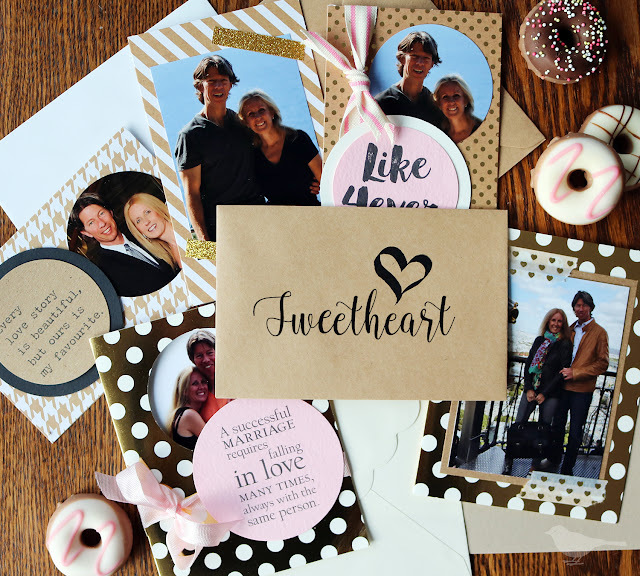 It's so easy to make keepsake cards for the holidays or a special occasion using your photos and some basic card making tools. For Valentine's Day I am giving my husband this handmade card. I created it using a picture that was taken of us at the Eiffel Tower last year. The card took less than an hour to make because I was able to print the photo at home on my photo printer. The hardest part about making the card was trying to decide which photo to use! Photo cards don't have to be really complicated to look good. So keep it simple! Gather your materials: blank cards and envelopes, photos, glue dots or two-sided tape, decorative tape, scissors, ruler and a pencil. It's also nice to have a large paper cutter, paper punches, cardstock, scrap paper, stamps, ink pads and ribbons. 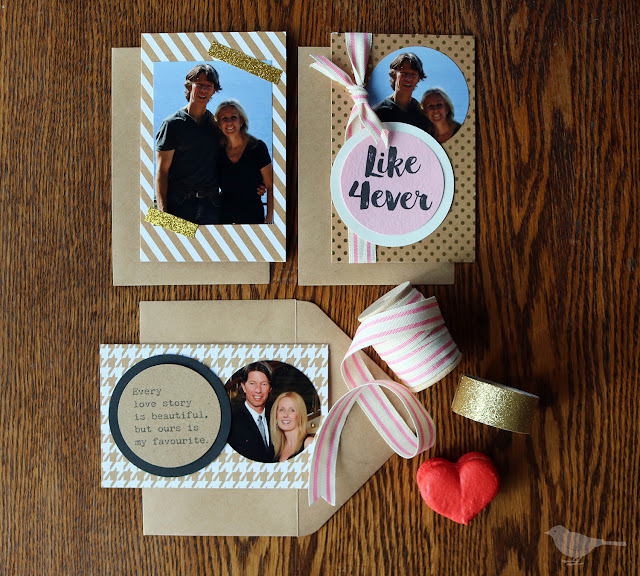 You can purchase blank cards at most arts and craft stores or make your own using cards using cardstock. To help get you started on making your own handmade card for Valentine's Day, I created a free download with six different love themed sayings. 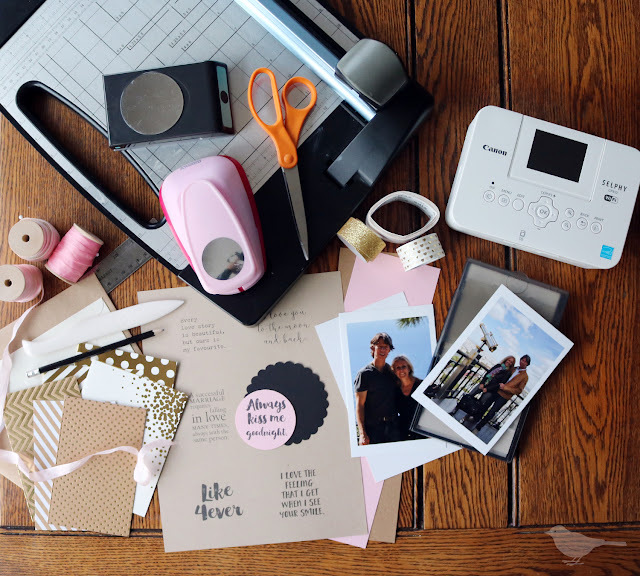 I prefer to cut my photos using large paper punches or my paper cutter because I can quickly and easily crop photos into perfect shapes. My tip for using paper punches - position your photo in the paper punch so that you can see what you are cutting out before you punch. 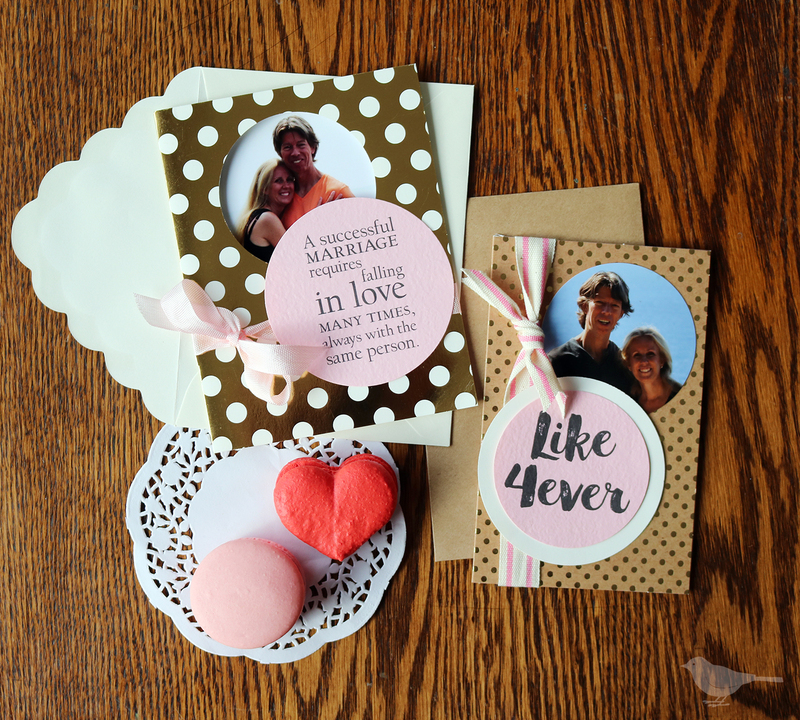 For the best results, always use glue dots or two-sided tape to attach your photo to your card. Washi tape and glitter tape make nice decorative elements to use on your cards. 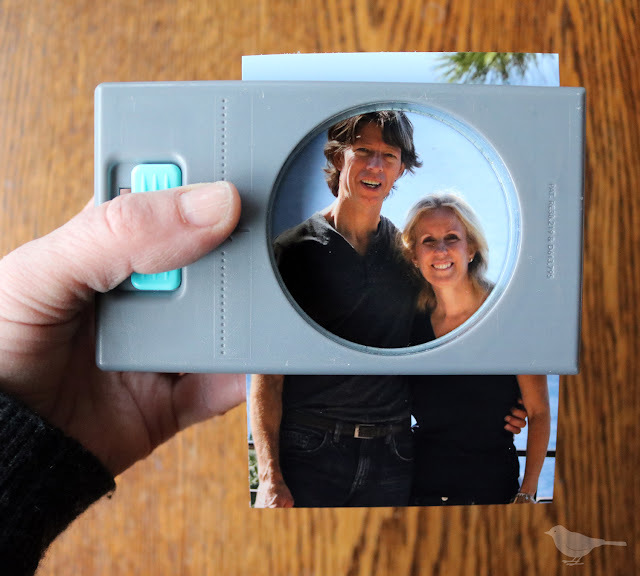 If you prefer not to cut your photos, another option is to cut a hole on the card front using the paper punches and add your photo to the inside of the card as shown above. I created this free printable with saying that are suitable for Valentine's day, wedding or anniversary cards. 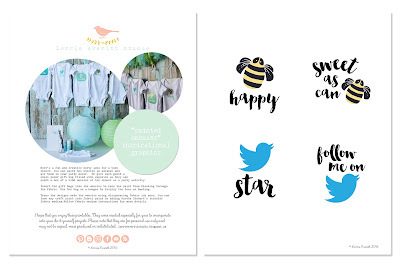 Simply download the file and print the second page onto cardstock. Cut the sayings out and add them to your handmade cards. 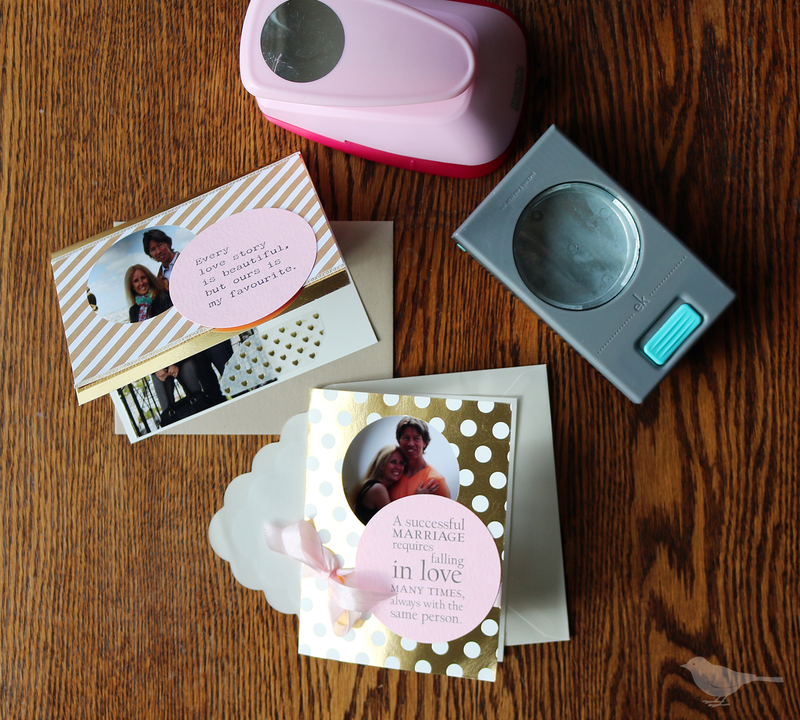 Like the idea of creating more cards using your photos? 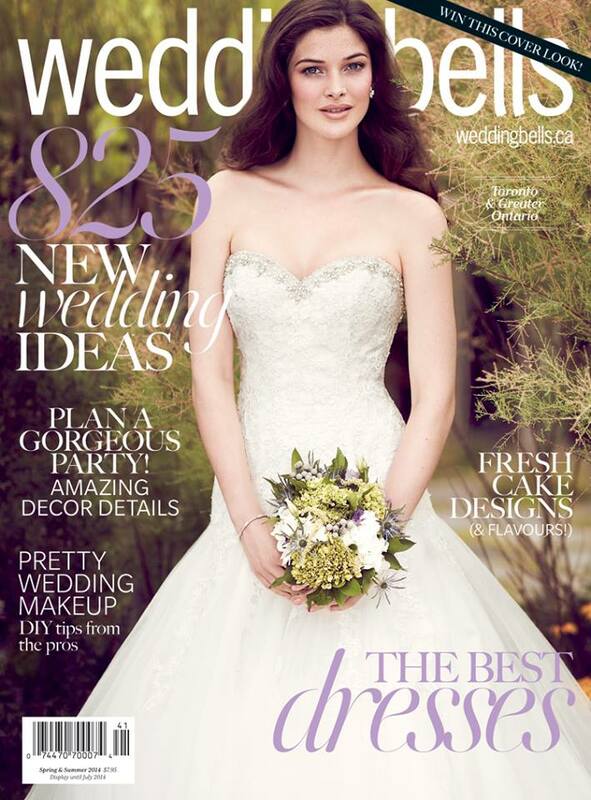 Want a little more inspiration? Check out Roam New Roads and my video tutorial for handmade photo cards.